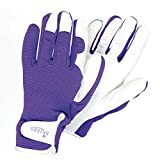 Womens Gloves and Mittens Sale: Check out these hot deals! 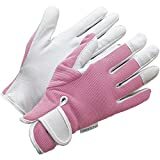 Leather Gardening Gloves Womens/Mens Pink or Blue Slimfit Work Gloves by Viridescent Ideal for Garden and Household Tasks, Safe for Pruning Roses. Best Gift Idea!